Who’d throw a friend under a bus for a promotion? 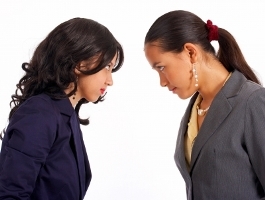 Which of your employees would ditch a friend if it meant a better job, and who would rather lose out on the step up? Hint: Millennials aren’t known for their loyalty. Work friendships are vital to job satisfaction, but it seems some generations value those relationships less than others. A new global survey from LinkedIn finds that 68% of Canadian millennials would sacrifice a friendship with a colleague for a promotion at work – but 58% of baby boomers wouldn’t even consider it. While the difference may seem callous, it could also be a sign of the changing priorities with age. Many Gen Y workers face serious competition in the job market and getting ahead in their career might seem more important than developing long-term friendships. Baby boomers on the other hand are mostly in the last 10 years of their careers, so the promotion might not seem as urgent. Ironically, millennials were most likely to say getting along with colleagues made them more happy, motivated and productive. Nearly one out of three millennials also believed that socializing with colleagues in person will help them advance their career. And if you think salaries are kept confidential, don’t bet money on it – 51% of millennials discuss their salary with colleagues, as do 31% of baby boomers.